Our Method Retreat is just days away. Getting ready to attend a multi-day event can be a bit daunting, so I thought I’d help out and put together a packing list of important things to remember. 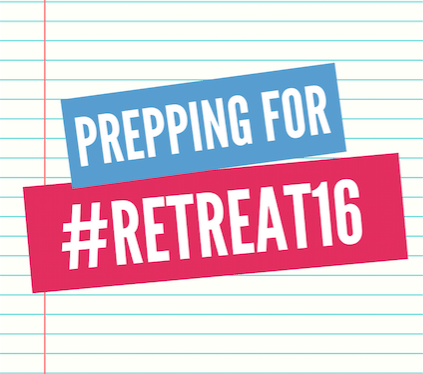 Print it out and use for your Retreat Packing – and even for any other conferences you attend in the future. First things first, when travelling internationally, make sure you have your passport, and ensure it’s up to date! Before travelling to Scaling New Heights this year, I realized mine was expired! I rushed to get it renewed and it was delivered in the knick of time! So learn from my mistakes and dig out those passports early to make sure you’re good to go! Our Retreat has 2 full days of hands-on training, that means you’re going to need your laptop! Make sure you bring your charger too! September in Toronto is beautiful – however, the weather can be pretty unpredictable. The day can start off hot, and once the sun goes down, the temperature drops. Since some of our social activities are taking place outdoors, I suggest you bring a light jacket so you can layer if you need to. Also, when we head to Niagara Falls, we’ll be touring a few wineries, so make sure you bring comfy walking shoes. The Method crew is a pretty relaxed bunch, so when you’re packing your outfits, think relaxed business casual. The last time I travelled internationally to a conference, I tried to check into my hotel, and somehow they had my name completely wrong! They didn’t know who I was, and since I didn’t have a room number, I couldn’t log onto the wifi to check my email to get my confirmation number…we were at a stand still. Luckily I remembered I had printed out my confirmation number, so I dug into my suitcase, pulled it out, and all was well. Ok, so maybe it’s not an actual hat (although if you happen to have a party hat, please bring it, and maybe an extra one for me! ), but make sure you pack your party spirit. We love to have a good time, and we’re excited to host you and show you first-hand how much fun we have! During your time here, there’s going to be a boat, a dj and photobooth…so get ready! At last year’s Retreat, our Partner Matt Raiser pointed out the differences between Canadians and Americans. So to follow suit, and since many of our guests are visiting us from the States (again, don’t forget your passport! ), I thought this Canadian Dictionary would be helpful for translating what us Canucks are saying when you arrive. “It’s 23 degrees out!”: It’s the perfect weather for all Canadians. 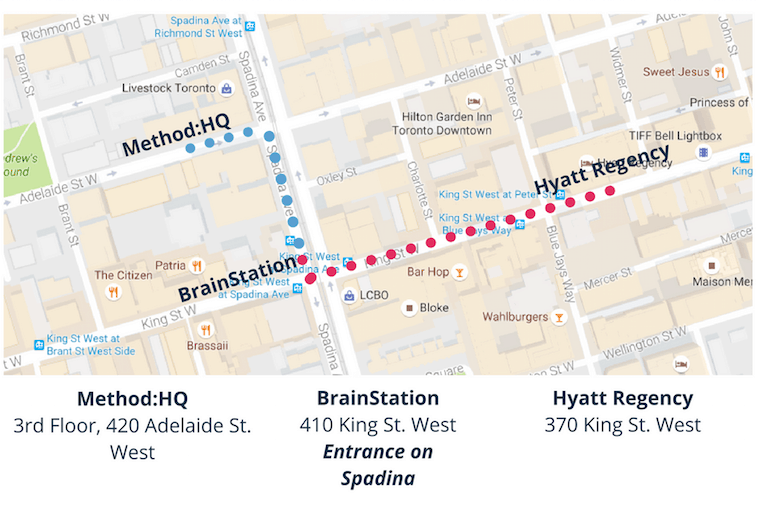 This map will help you get from our preferred hotel (the Hyatt), to BrainStation (where our training will take place) and to Method:HQ.